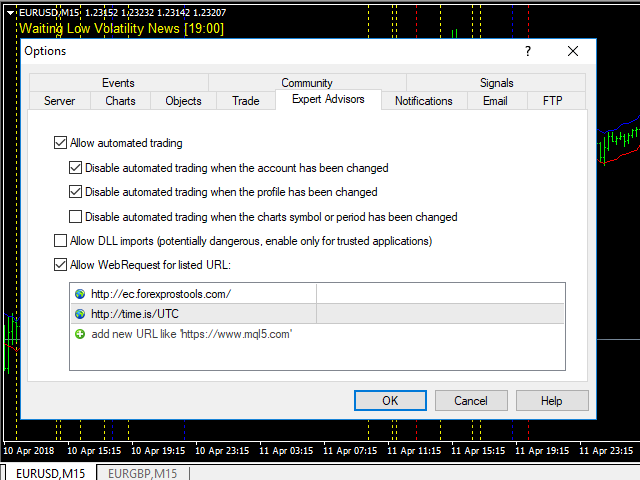 This Expert Advisor is based on a scalping strategy that uses the Bollinger Bands indicator. The Bollinger Bands indicator reflects the price overbought or oversold conditions, which help to identify the entry or exit points as well as possible trend break-downs. The Bollinger Bands consist of an upper band placed above, and a lower band placed below. 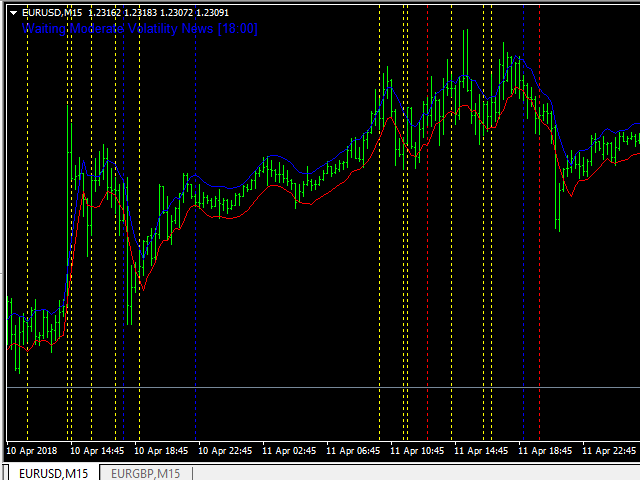 The distance between the Bollinger Bands or the width of the bands/channels based on the volatility measure. 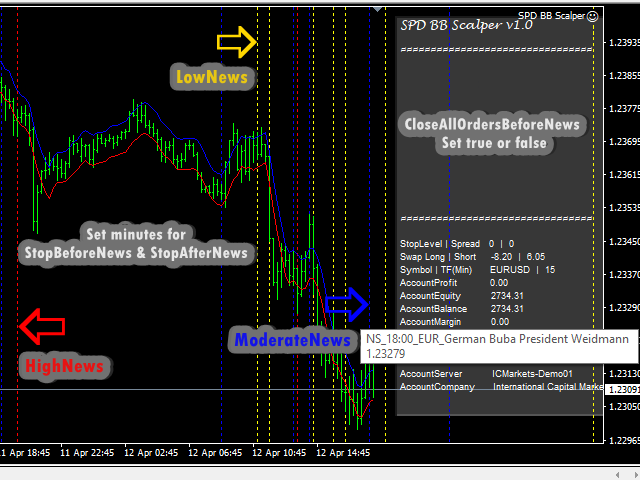 The mechanism of this system is similar to the SPD Envelopes Scalper. If the price rises above the upper band and then closes back down inside the Bollinger band indicates a signal to sell. On the other hand, when the price falls below the lower band and closes back inside the Bollinger band, it indicates a buy signal. This system is suitable for sideways market and medium trend. 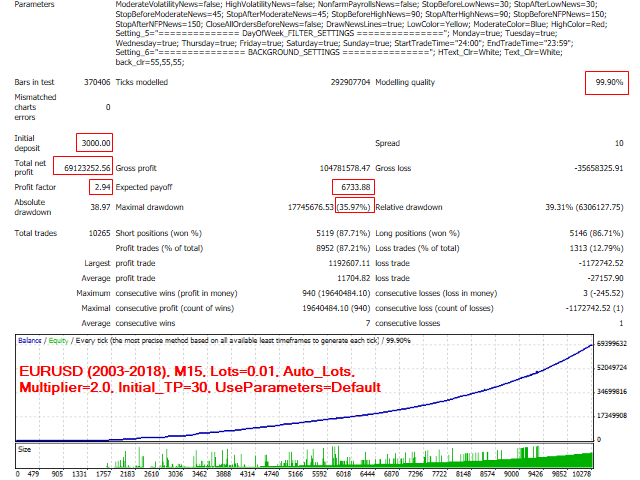 Trades on different timeframes, recommended M15. 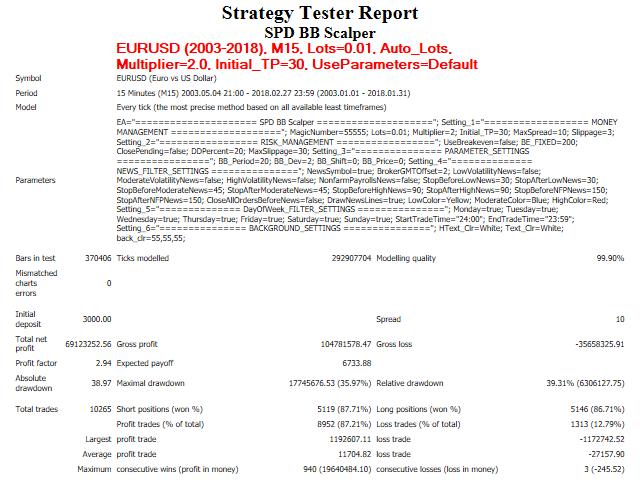 Trades on any pair, recommended EURUSD, EURGBP, GBPUSD. Initial deposit: $1000+, recommended $3000. 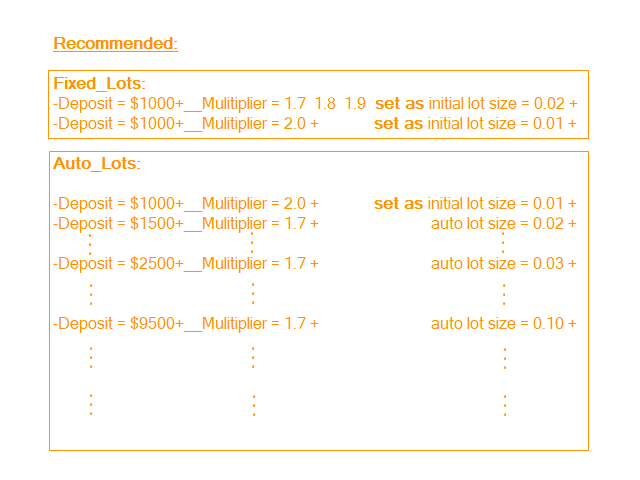 This Expert Advisor uses the average position algorithm technique. It is recommended to use very low spread ECN Broker, VPS (Virtual Private Server) is required for faster connections to send orders.